Growth Street is a better way to finance and grow your business. Small businesses can’t access the crucial cash or working capital they need to run and grow their business. 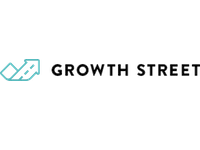 Growth Street provides simple, fast and fairly priced capital to the businesses that are either rejected by the banks or trapped into expensive finance solutions which trap them in a cycle of borrowing, rather than helping them grow. At Growth Street we are determined to provide the lowest possible cost of finance that allows businesses to unlock cash and access working capital to spur growth and weather lean times. Our background comes from working with small businesses, we know their needs and how to help. We lend to all UK limited companies (no sole traders or partnerships). We lend to all sectors bar agriculture, casino/gambling and real estate. Most of our clients are in retail, manufacturing, professional services, digital services and fashion. Our borrowers have to be incorporated for at least 15 months, have an annual turnover of at least £400,000, be profitable and growing. We offer a revolving credit facility (RCF). It allows you – like a business overdraft – to draw on funds when needed and repay at any time. The contract is for 12 months but can be negotiated, for larger or smaller amount, at any point during the contract period. We charge a 2% + VAT fee upfront for the annual RCF. Interest rates on used funds ranges between 8 – 15% annualised (0.7 – 1.3% monthly). This is cheaper than any other kind of alternative short term finance out there today. We are rolling out our RCF + Single Invoice Finance to create a customised and full suite working capital finance solution by end of 2015. This will allow smaller and more ‘risky’ companies to access larger amounts of capital through a combination of RCF and single/spot invoice finance. The cost here will – unlike many other invoice finance platforms – be fully disclosed up front and there will be no upfront fee. Average cost on any funds borrowed will be 1 – 1.5% per month. Q: What are the favourite sports around the office? A: We (unfortunately) have a lot of cycling geeks in the office. Those amongst us who like proper sports I guess the main rivalries is Chelsea – Liverpool and England Rugby and the All Blacks (not that England stands a chance there).